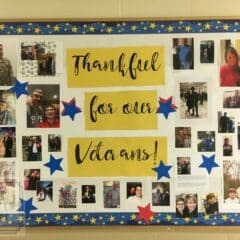 Bulletin board ideas for middle school or high school can be challenging because they are too old for cutesy themes like bees or superheroes, but yet you still want them to be relevant to their particular needs and challenges too. 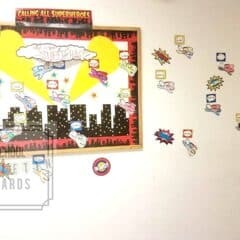 Perfect for the first day of school when you don’t yet have student created work to share, this bulletin board idea is a perfect conversation starter for the school year ahead. How to tie it in to your first week lesson plans? Have students discuss several sample sentences you have provided in small groups and use the questions on the board to decide whether it should be said or kept to oneself. 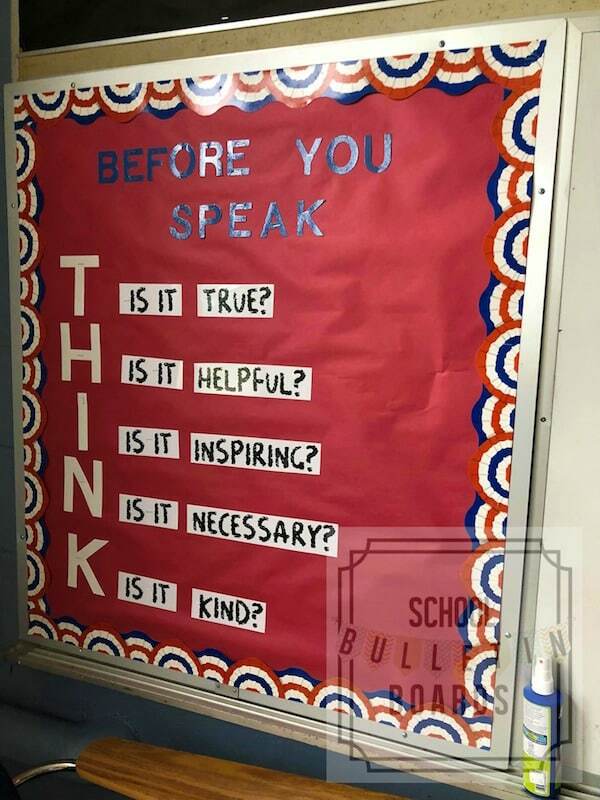 Hopefully by practicing some good and not-so-good examples, it will lead students to consider their words before speaking where anything-goes tends to rule the social media world. Red Bulletin Board Fadeless Paper: Fadeless is a must-have, especially with the fluorescent lights beating down on the board day in and day out. 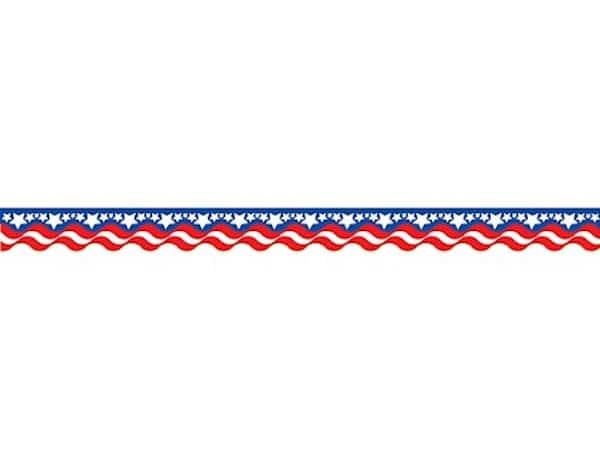 Patriotic Trim: Of course, you can choose to go with any matching trim your desire. 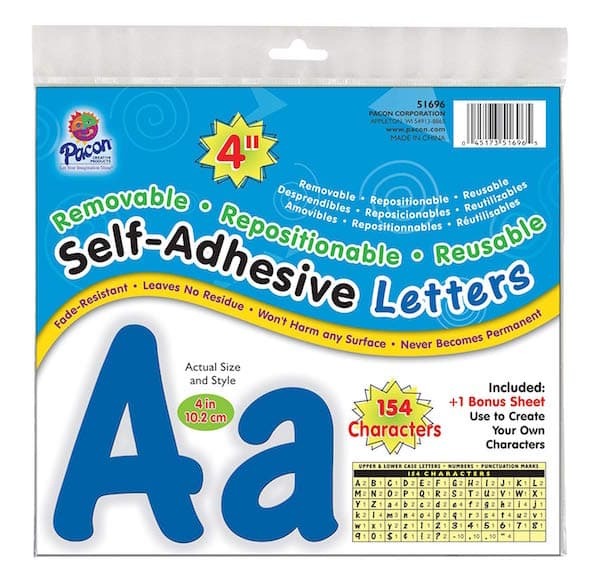 Blue Lettering: 4″ letters at a minimum. You want to be able to easily read the title. 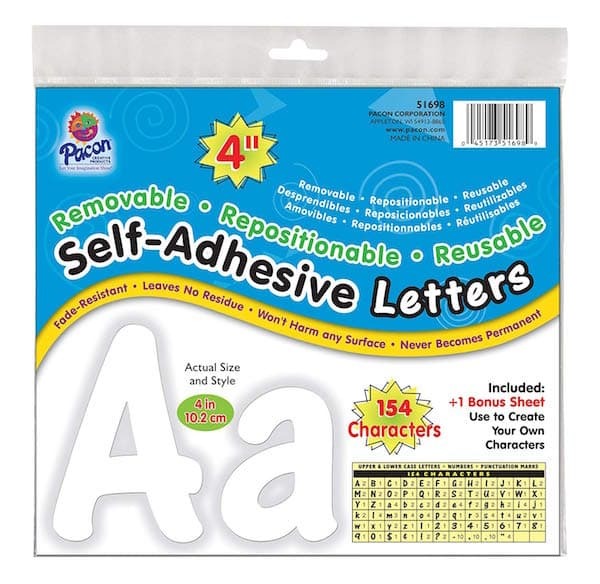 White Lettering: Same as above – 4 inch minimum sized letters. Begin by placing your red paper on the board as the background. Add your border around the edges. 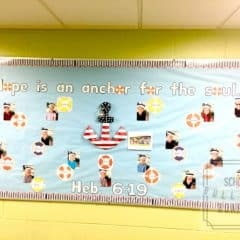 Add the white T-H-I-N-K letters vertically on the left side of the bulletin board. Print the following on a plain white sheet of paper: IS IT (5 copies), TRUE?, HELPFUL?, INSPIRING?, NECESSARY?, and KIND? 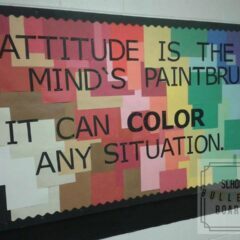 Cut out and add to the board next to the appropriate letter in THINK. 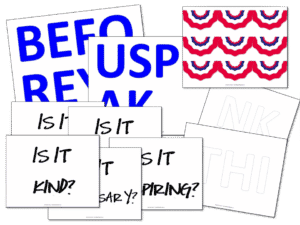 An easy way to start the year (or review throughout the year) which creates valuable conversations that help students think about what words are better choices to speak aloud in any social situation.